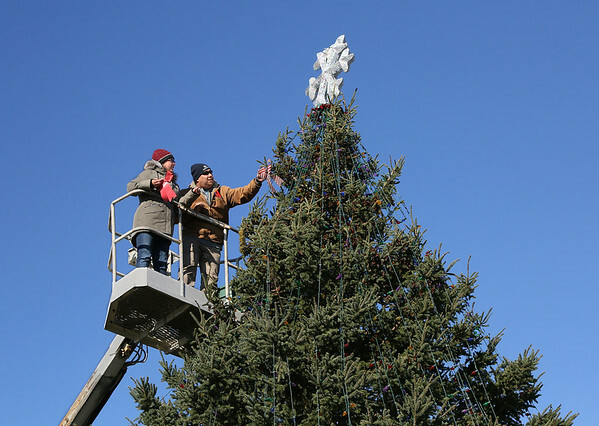 Liz and Mike Leung decorate the town Christmas Tree, a 35-foot spruce, on Friday at Kent Circle in Gloucester. Liz is the eldest daughter of Ringo Tarr, who has brought a christmas tree to Gloucester from Nova Scotia every year for the past 20 years. This year's tree-lighting festivities will be held at about 4:15 p.m. Sunday, following the Christmas Parade.